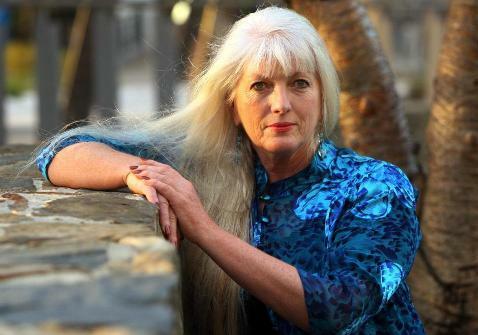 December 31, 2011 – Chris Johnston senior writer and Julia Medew Health Editor have written a well considered article about Ian Gawler’s cancer ‘remission’ in today’s Age newspaper. Having been Ian’s 24-7 carer and then his wife who saw him through his entire illness, I can only agree with the findings of the two professors quoted in the Age story. Retrospective views in combination with current knowledge must lead to a view that considers scientific knowledge and clinical facts in the absence of hard data. It is important not become focused on an ideology & be open to accepting new evidence and critique…Carl Sagan quote: “Exceptional claims call for exceptional evidence.” is very appropriate. Professors Haines and Lowenthal have indeed presented exceptional evidence in this case. The article is gaining media momentum around the country. For those of you who are regular subscribers to this blog; you are no doubt aware that the Medical Journal of Australia published a refute letter authored by me in 2010 as a response to an inaccurate review of Ian Gawler’s remission story titled “True Stories” MJA Dec 11 2008. The authors of the published manuscript, Dr Ruth Gawler and Professor George Jelinek had reported a previously incorrect clinical timeline, with incorrect dates along with serious errors and omissions. The famous photograph of Ian’s chest wall was incorrectly dated – I have the originals. After many attempts to open a dialogue, the authors failed to respond…there was a ‘cocoon of silence’! Unfortunately, my refute letter was smoke-screened and deemed by media as “quarrels between ex wives” in The Australian newspaper (Oct 2008) while the Australian Doctor reported the published letter quoting the “Duelling Mrs Gawlers”. These were the only 2 follow up articles at the time. A surprise for a subject so important in the public interest and given Ian Gawler later admitted in the Australian Doctor that he knew Ainslie Meares had the timeline of his story wrong – an error of 19 months! Later on his personal blog – Ian Gawler cleverly worded that he had never followed a vegan diet. However, cancer patients in the public domain were never privy to the disclosures. “AN EXPLOSIVE new medical report has cast doubt on whether Melbourne alternative therapies guru Dr Ian Gawler ever suffered the secondary cancer from which he has claimed for 30 years to have cured himself. My Memoirs – ‘Grace, Grit and Gratitude’ – was published (self published) October 1st 2008 after Curtain University’s Black Swan Publishing lost funding for the project. They had listed it for their Blockbuster Christmas release a couple of years prior. The book had been in process for about 8 years and unlike The Dragon’s Blessing, Ian Gawler’s Biography authored by Guy Allenby; Grace , Grit & Gratitude covers areas Allenby omitted and gives a open and frank discussion about the role that TB had likely played in Ian’ Gawler’s recovery. Anomalies and the atypical pathway of his metastases was always a question for me – I knew that his TB diagnosis had something to do with this extraordinary remission – but there was non one willing to entertain or discuss the issue. At last – entering 2012, there are some answers for this atypical medical case in which I was so intimately involved. 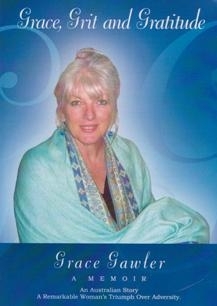 Grace, Grit and Gratitude is available in soft cover or as a downloadable eBook. A book that inspires the best in us – whatever the circumstances. Hyperthermia segment on Channel 7 Sunrise – Grace Gawler comments Part 3. Channel 7 Sunrise created a groundswell of interest around Australia this week with their telecast of a segment about hyperthermia in Germany. In this third blog on this subject, I would like to discuss the importance of hyperthermia in a treatment program for cancer. Parmenides, a Greek physician and philosopher (540-480 B.C. ), said “Give me a chance to create a fever and I will cure any disease.” In 2011 that sweeping statement can be qualified more accurately as to how much hyperthermia can help bring about a remission from cancer. In the past 2 years many clients have arrived at our Institute with a poor prognosis – many having exclusively used alternative medicine for years despite the fact their cancer would have been treatable by local conventional medicine had they taken that path. Some of these patients have been able to gain life quality and extend their lives up to 2 years after visiting German clinics who have offered among many therapies – hyperthermia. A rare few in this group have worked hard for their remissions & their survival given tumour load has been remarkable. The Institute has supported many cancer patients in their quest for recovery and it is a great feeling to know that many of our clients who had dire prognoses, are spending another precious Christmas with family & friends. However I also remember each Christmas those brave souls who didn’t make it despite the best treatments here and overseas. Working with cancer is a sobering experience. The moral of the cancer story is clear – find it early – treat it early & don’t waste time playing Russian Roulette with unproven internet & alt/med “cures”. A considerable part of the Grace Gawler Institute’s work focuses on international referrals. Leading the field in Australia with this ’boutique’ service, the Institute provides cancer patients with an international case management service, ideal when treatment options for patients in Australia are limited or exhausted. At the patients request, we refer them to reputed hospitals, universities and specialists offering advanced treatments. These are mostly in Germany. Author grace_gawlerPosted on December 23, 2011 Categories Cancer survival information, Integrated medicine, Medical Journal Articles, Recent media and videosTags cancer, cancer cure, cancer treatments, channel 7 sunrise, German clinics, Grace Gawler, Grace Gawler Institute, hyperthermia, miracle cancer cure, remission cancer, sunrise, Survive and Thrive1 Comment on Hyperthermia segment on Channel 7 Sunrise – Grace Gawler comments Part 3. Hyperthermia segment on Channel 7 Sunrise – Grace Gawler comments Part 2. Local Surface Hyperthermia –In addition to the treatment with Whole-Body-Hyperthermia (WBO) and Local Hyperthermia; patient’s can be given Local Surface Hyperthermia. This therapy method is especially suited for superficial tumors such as skin cancers, superficial lymph nodes and metastases of the skin and / or the muscles of different primary tumors (e.g.Malignant melanoma, superficial metastases of the Breast). For the Local Surface Hyperthermia the heat is generated with a water-filtered infrared radiation source (infrared A) which is able to penetrate into the tissue to a depth of around one inch (up to 2 cm). The whole procedure takes one hour. Often Local Surface Hyperthermia is given in combination with chemotherapy or immune-therapy to increase the effectiveness of the therapy. The Local Surface Hyperthermia is a safe, non-invasive therapy without harmful side effects. 2. Local Hyperthermia For a long time it has been known that cancer cells may be damaged by heat. If you heat up cancer tissues, heat shock proteins develop, initiating immunological mechanisms of defence against cancer cells. Repair mechanisms in the cancer tissue after chemotherapy or irradiation get impaired by hyperthermia. If the chemotherapy or irradiation is performed incombination with hyperthermia these treatments will be much more effective. As a result, in many cases it is possible to use a lower dosage of chemotherapy which means less toxicity for the patient. In local hyperthermia, cancer tissue or metastases are heated up by using short wave irradiation with 13.56 Mhz and an energy up to 150 watts. Penetration depth is about 20 cm. In the tumour tissue, temperatures higher than 42 c (107.6 f) are achieved. 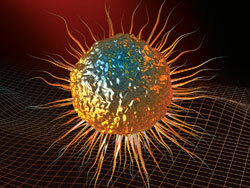 While healthy cells tolerate this treatment malignant cells get damaged. The local hyperthermia has no significant side effects. 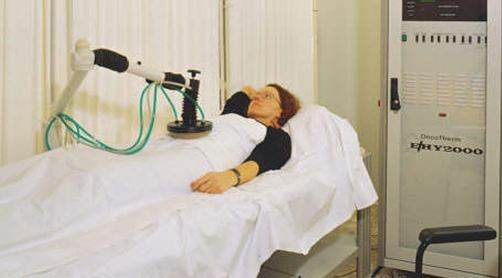 During the treatment the patient stays relaxed on a warm water bed. 3 a/ Moderate Whole Body Hyperthermia– stimulates & activates the immune system. This treatment is given when chemotherapy is not appropriate. The body core temperature is raised to about 39.5 c (103.1 f), which simulates a natural fever increasing the number and activity of natural cells, T-helper cells and cytotoxic T-cells. This treatment is also used in cancer diseases with special association to the immune system like renal-cell-carcinoma, malignant melanoma and special lymphomas. Moderate whole body hyperthermia is also used to prevent recurrences. 3 b/ Extreme Whole Body Hyperthermia – particularly in advanced or metastatic disease. Extreme whole body hyperthermia is used in combination with chemotherapy in advanced or metastatic cancer. The body core temperature is increased up to 42 c (107.6 f). Extreme whole body hyperthermia is useful in advanced cancer, especially with metastases in different organs, e.g. in the liver, bones or lungs. Together with whole body hyperthermia, chemotherapy is more effective. We start the chemotherapy at a temperature of about 41 c (105.8 f). Very often it is possible to use very low doses of chemotherapy, so side effects of the chemotherapy are kept to a minimum. Tumours or metastases resistant to chemotherapy can be successfully treated with a combination treatment of chemotherapy and whole body hyperthermia. Body core temperature is increased carefully using whole body water filtered infra-red-A-irradiation. The extreme whole body hyperthermia is a safe treatment. 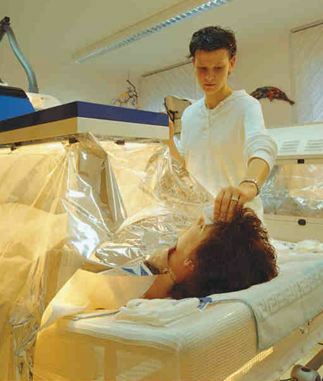 During the whole body hyperthermia the patient is in a special unit (IRATHERM 2000) and can be reached from all sides. To be continued….. Please visit again for Part 3. Yesterday’s Sunrise segment is a step towards further embracing medical hyperthermia here in Australia. Having guided cancer patients for many decades to the best clinics in Germany when they run out of options here in Australia – I have a degree of knowledge about hyperthermia – in particular the Medical Oncotherm system. I specialise in International referrals for patients. Travelling to Germany for Hyperthermia without knowledge or a case manager/guide and supportive oncologist is not recommended. It is essential because you will need followup when you return to Australia. I have seen and heard of many patients who have travelled to German clinics for treatments, having spectacular results with coordinated care including hyperthermia and chemotherapy and other treatments, only to return without the required support and advice and experience a relapse & recurrence due to poor or no follow on treatments. Hyperthermia is a wonderful adjunct treatment with other therapies – in particular chemotherapies. Lower doses can be used due to the effect of heat on the cancer cells. There is ususally an immune support program associated with the treatment. Oncotherm was founded in 1988 by Prof. Dr. András Szász, as a spin-off entrepreneurship based on research conducted at Eötvös Science University, located in Budapest. The electro-hyperthermia method was a completely new development in cancer treatment. Since its initial development, the medical and technical aspects of the method have been steadily improved, in accordance with the latest medical, scientific and technological findings. In the process, the method, now generally referred to as “Oncothermia”, has become one of the leading Hyperthermia-based therapies in Europe. At present, more than 100,000 Oncothermia treatments are provided worldwide every year, to patients with many different types of tumor disorders. Oncothermia, a unique improvement on conventional oncological Hyperthermia, represents the next generation of Hyperthermia therapy. It selectively destroys malignant cells by applying the required specific energy dose. While traditional Hyperthermia functions solely via certain thermodynamic parameters, such as temperature, Oncothermia functions by controlling absorbed energy doses, via an approach similar to that used in radiation therapy. Oncothermia moves beyond conventional heat therapies by using controlled, selective energy transfer. Oncothermia transports energy directly to malignant cells, via a selecting electric field. The therapy thus functions in a largely apoptotic manner. 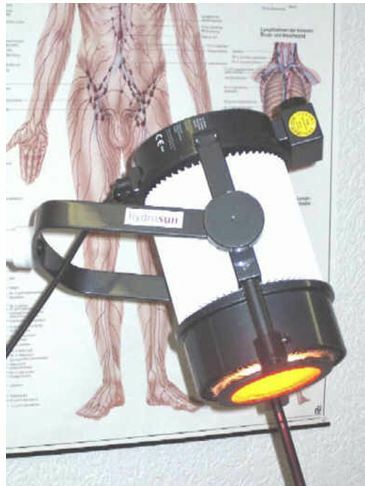 The entire treatment is controlled by the modulated electric field that passes through the patient. In the process, the tumor becomes a constant, controllable parameter within a closed electric circuit. To be continued…….